Aggh I know I'm so so late with this one but I didn't want to let the lovely Lianne down so I'm posting it 5 days late anyway! This week in #TheSkinProject it's the turn of the Exfoliator, probably the product and regime that I have been doing for the longest and the one that I honestly feel the most benefit from straight away. I'm sure that we all know what exfoliators do, scrub away any dead skin and impurities from your skin leaving you with baby smooth fresh skin underneath. I've always been careful not to exfoliate too much, (I only do it once a week) as it loosens the elasticity in your skin which can age your face extremely quickly if you do it too much. I think is recommended that you exfoliate no more than every other day. But I learnt that when I was in year 9 (so around 14/15) so maybe it's all changed now, I dunno! 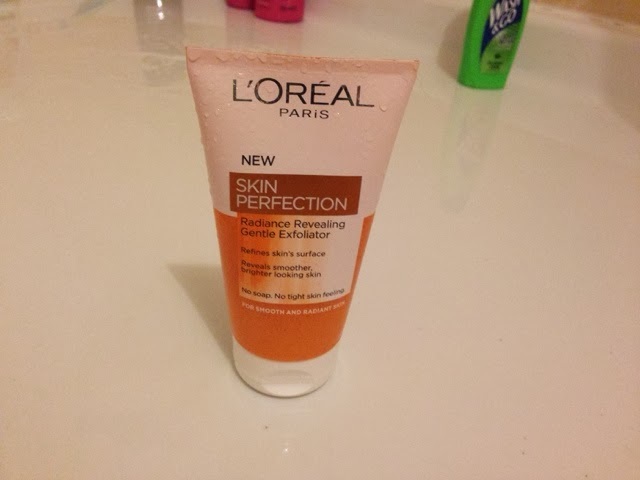 At the moment, I'm using L'Oreal's Skin Perfection Radiance Revealing Gentle Exfoliator and I'm loving it, last night I'll admit that after exfoliating in the shower and putting on a tiny bit of balance me's moisturiser, I did nothing for my skin. I took a sleeping tablet and was out for the count as soon as the #bbloggers chat was over, however I woke up this morning to smooth, soft and supple skin that honestly did look rather radiant (even if I do say so myself!) it's not too pricey either, I picked it up for around £4.99 and it's lasting me ages! I must have had this for at least 2 months and you can't even see the usage yet. I think I can definitely say that exfoliating is my favourite part of my Skincare routine. Some people turn to a face mash when their skin feels a bit Bleurgh but for me I always find that a good deep scrub with a good exfoliator always brightens and clears my skin! I promise to try and be on time next week! Sorry! Want to know more about #theskinproject? 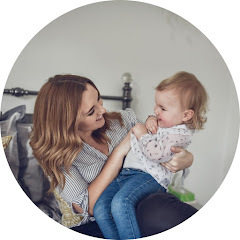 Go over to Lianne's blog! Have you entered my Secret Santa Giveaway Yet? Where do you do your Christmas Shopping?